Revelers celebrate at the Queens World Film Festival Associate Orientation at The Local in Long Island City. Photo Courtesy of QWFF. 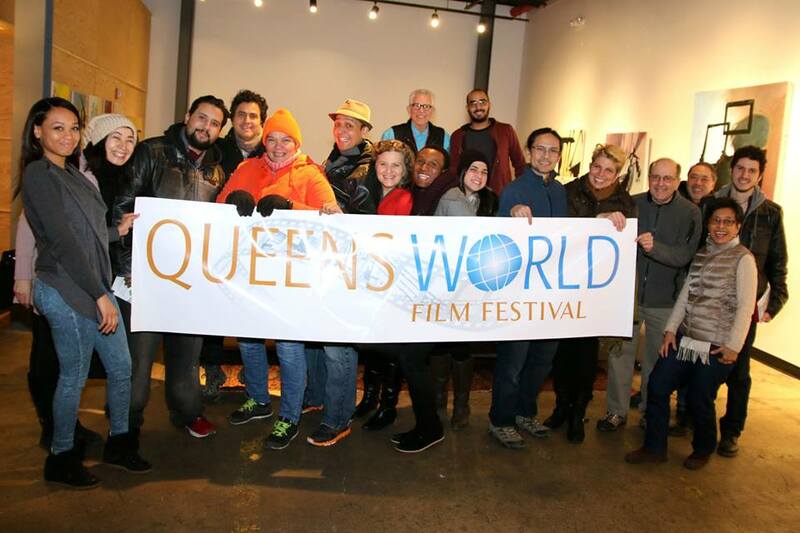 The annual Queens World Film Festival this week kicked off its 5th season, screening 117 independent films from 30 countries, including 19 from borough residents. The movies—short narratives, documentaries and features—will be screened throughout the week at various locations across Queens, including the Museum of the Moving Image in Astoria, the Secret Theatre in Long Island City and PS 69 in Jackson Heights. The festival will close on March 22. Last year, according to Cato, the QWFF featured “only nine or 10” filmmakers from outside the United States. That number tripled this year, with submissions hailing from such countries as Argentina, Ireland and Poland. Four hundred films were submitted for the 2015 event, with 33 coming from Queens. Nineteen of those were selected for the festival. Jamil Lahham, an animator who lives in Astoria, first came to the U.S. in 2002 from Syria. He lived in Texas, California and Louisiana before landing in New York and, ultimately, this year’s QWFF. “I’ve worked in short films, features and commercial work—you name it and I’ve done it,” Lahham related. But after working on many projects for others, Lahham said he wanted to do his own thing. “You want your own project to come to life,” he noted. And so, inspired by the late comic George Carlin’s line: “I put a dollar in a change machine and nothing changed,” Lahham developed his animated film “Dirty Laundry Day,” which focuses on the theme of change that occurs during an ordinary trip to the laundromat. Forest Hills filmmaker Joy Shatz grew up in Woodhaven, and she said that her short film “Wild Woman” is aptly titled in that it was the first project in which she would end-up writing, directing and playing all 13 characters herself. “I wanted to do something that people wouldn’t expect,” said Shatz, who is an actress by trade and works days in television and film post-production. The borough native said that she shot some footage for the film in Forest Park. 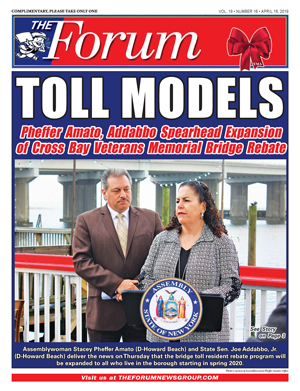 “So far, people’s response to my film has been very good,” she noted, adding that it has already won several awards at film festivals on Long Island and Williamsburg, Brooklyn. For Sunnyside filmmaker EJ McLeavey-Fisher, working in entertainment was always the plan, from graduating New York University in 2006, to interning at MTV and most recently directing and producing various projects for MTV and Vice. He said his documentary, “Comic Book Heaven,” was somewhat unexpected, since, by his own admission, he never was comic book fan. 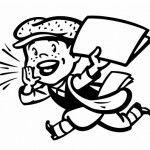 “I found an article on a blog, The Sunnyside Post, about a comic book store closing and it got me interested in the store and why it was closing,” he recalled. The documentary, now available on the video-sharing website Vimeo, is McLeavey-Fisher’s first-ever entry into the QWFF. “It’s cool to see Queens getting more recognition and more buzz. The borough is riding a nice wave right now. It’s great to be part of Queens’ filmmaking community,” he said. Audiences can see all the festival’s winning films during a day-long marathon on March 22 at the Museum of the Moving Image, located at 36-01 35th Ave. in Astoria. For more information or tickets, visit queensworldfilmfestival.com.